…& Maisy the dog! What a fun and beautiful wedding this was. The forecast was for double rain, you know, when your weather app has the dreaded cloud with two raindrops?! 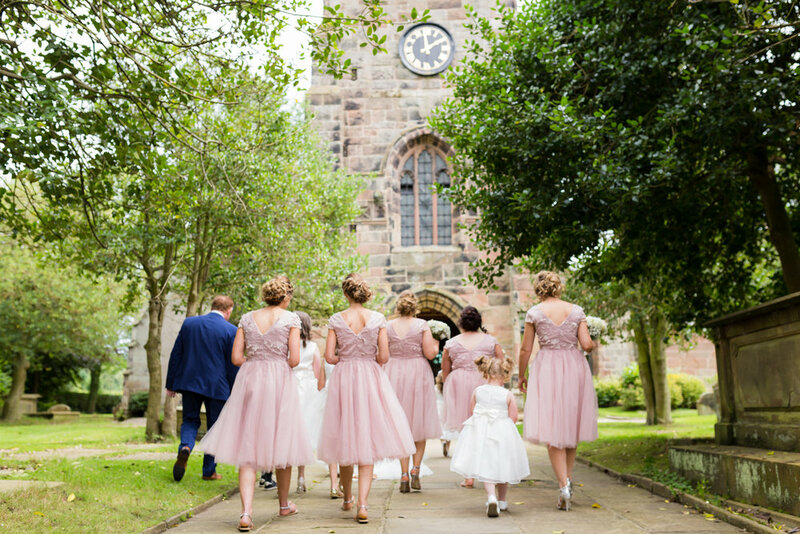 But despite thunder rumbling while the wedding party got ready, and a few brief cloud bursts that sent guests running for the bar, the sun shone brightly for this sweet couple. Laura, one of the most happy-go-lucky brides I’ve met, wasn’t phased by the forecast. She did say it would be a shame if their guests couldn’t have drinks in the gorgeous gardens at The Bridge in Prestbury though. Fortunately, everyone got to enjoy a glass of fizz in the grounds of this stunning venue. A highlight of the day was when Laura and Chris’ dog Maisy made a guest appearance! 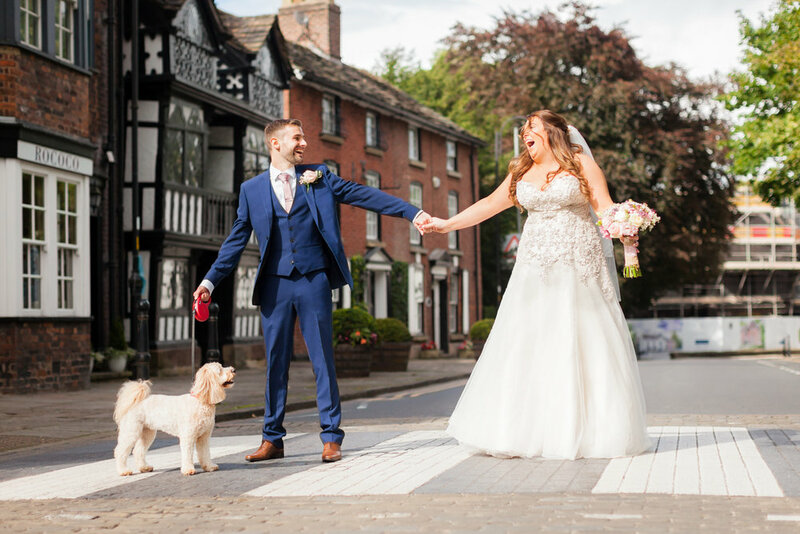 So we obviously took her for a walk around Prestbury, where the newlyweds literally stopped traffic by recreating the Beatles’ Abbey Road crossing scene.